Describing the behavior instead as a legal and common “% Fee,” not a “kickback,” a Mercedes dealership announced it and a body shop had dropped their competing lawsuits related to allegations the dealer demanded a “mafia-style bribe” for certification sponsorship. North State Custom sued Celebrity Auto of Westchester, which does business as Mercedes-Benz of Goldens Bridge, alleging the dealership had improperly demanded a 25 percent payment on labor and to make 100 percent on parts sold to the New York body shop. According to the lawsuit, Celebrity “informed North State Custom’s representatives that the terms and conditions of this new procedure were non-negotiable and that if North State Custom did not accept these new terms and conditions, then Celebrity would not agree to sponsor North State Custom in the MBUSA Mercedes-Benz factory trained and certified collision repair program.” Celebrity said it had already passed the Mercedes audit, performed some required upgrades and paid to renew its certification. “It was a flat-out, mafia-style bribe,” North State Custom owner Greg Coccaro Jr. said in October 2017. Mercedes of Goldens Bridge, which purchased the dealership last year, countersued for defamation. North State Custom also sued Mercedes itself, which Coccaro said allegedly effectively declared “tough luck” and stated it had no control over any dealerships. The lawsuit also named North State Custom competitor S&L Collision Center, alleging it agreed to the payments and improper behavior and obtained the now-uncertified North State Custom’s Mercedes business. John Varachi, attorney for S&L Collision, said in 2017 that S&L owner’s had “nothing really to say except really to deny” everything in the complaint and that “whatever he did was perfectly above board.” Mercedes at the time said it couldn’t comment on pending litigation. All four parties agreed March 13 to end the lawsuits and cover their own costs. “I got my certification back (through another dealer), and I’m happy about it,” Coccaro said Tuesday. He declined to comment further, citing the terms attached to the litigation’s conclusion. 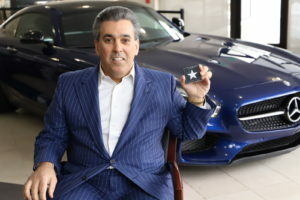 “Mercedes-Benz of Goldens Bridge, Celebrity Motor Cars and/or its owner Tom Maoli has never demanded kickbacks or participated in any kind of illegal activity,” the dealership wrote in a news release. However, it didn’t deny requesting an arbitrary percentage on top of the conditions imposed by the Mercedes program in exchange for the sponsorship necessary to participate — which based on Merriam-Webster sounds awfully close to the definition of any kickback which isn’t illegal. “The process for working with subcontractors performing body work on automotive repairs and taking a % Fee is not illegal,” the dealership wrote. Its 2017 motion to dismiss North State Custom’s case also said such behavior wasn’t illegal. A Mercedes of Goldens Bridge representative hasn’t yet responded to a message seeking comment on the distinction between a kickback and percentage fee. The dealership’s news release presented such behavior as common — and appeared to suggest BMW and Maserati dealerships were demanding similar fees from body shops. 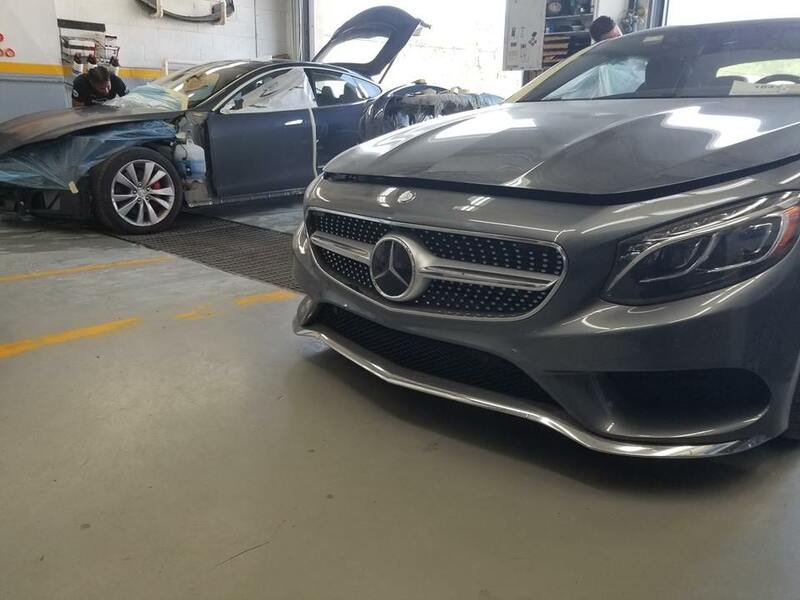 “Over the years, I have worked for other manufacturers such as BMW and Maserati outside of my current position in the organization as Parts and Service Manager at Mercedes-Benz of Goldens Bridge; and this is an extremely common practice for body shop repairs and also completely legal,” Mercedes of Goldens Bridge parts and service manager Tom Brennan said in a statement. Mercedes, BMW and Maserati have not yet returned requests for comment on the implication that their dealerships are requiring certified collision repairers to pay such additional concessions. S&L’s attorney hasn’t responded to an inquiry into a similar implication that it’s paying Mercedes of Golden Bridge. Granting dealerships such subjective power — something that mainstream certifying OEMs have clearly been able to avoid — rather than basing networks purely on equipment, training and apples-to-apples metrics also seems to open the door for such controversies within the luxury vehicle industry. It’s difficult to see how luxury vehicle owners are served by certified collision repair networks built in part on which shops are willing to pay a dealership a little something extra.